Two in one instrument to check both wrist straps and footwear. Extremely easy to use. Just move your finger from wrist strap button to footwear button to complete the test (without a need to remember to change a position of an additional switch from one measurement to the other like with other manufacturers units). Built using SMT technology for reliability. Pass tone is easy to hear. Visual indicators to show pass, low or high fail and low battery condition. 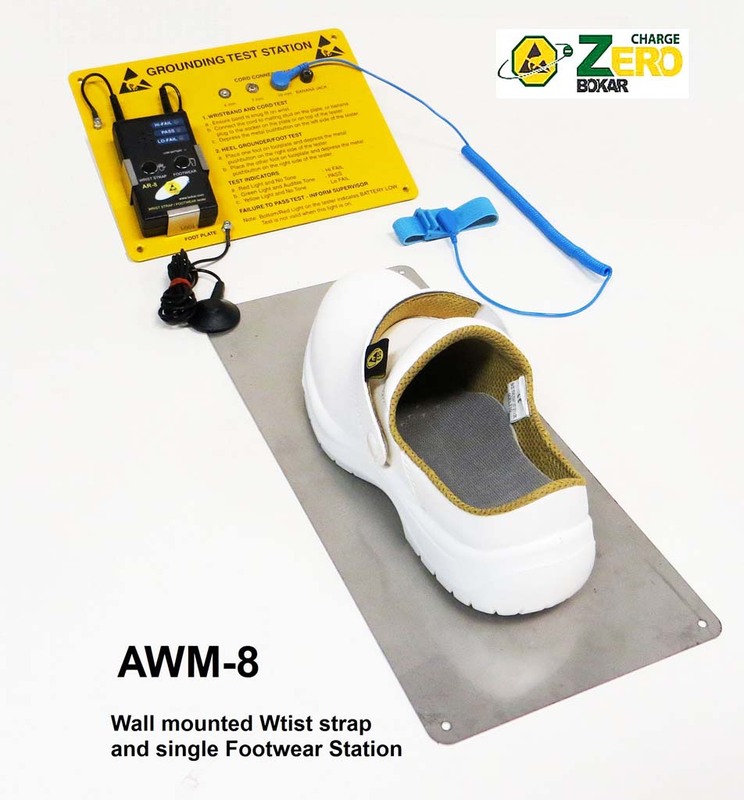 The wrist strap and footwear tester system was created to fill a growing demand for a dependable, low cost and easy-to-use test mechanism for personnel grounding devices. 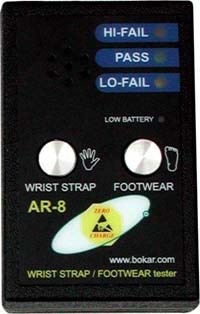 It is available as AWM-8A Tester, (U.S. standards) a 750-kohms to 10-Mohms range for wrist straps and 750kohms to 100Mohms range for footwear and AWM-8E Tester (European standards) a 750-kohms to 35-Mohms range for both wrist straps and footwear.